This is a simple picture of Scorpius, the constellation. 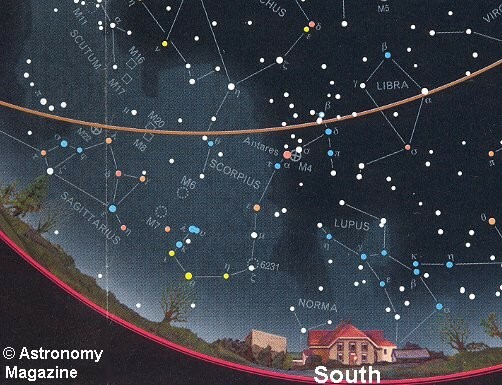 This picture shows, where Scorpius is, and what other constellations surround it. This is a picture of, Scorpius, with what its supposed to look like. 1.) Scorpius is in the southeast of the constellation of Libra and marked by Antares, who was a Greek war-god. 2. )Scorpius was last seen July 25th. 3.) You can see Scorpius, only through out June and July. 4.) Scorpius is place in the milky way, and it contains many deep sky objects. 5.) Scorpius in many religions, was told to be a god.